The following tutorial explains how you can create your videos in five steps. From beginning where you choose your media, to the very end where you upload your video. This tutorial video shows how to edit your videos and add titles, transitions, effects, and more with the new mode-based workflows. This video tutorial focuses on the new built-in motion tracking and shows how you define and track object or areas. Also learn how you add effects to those objects. 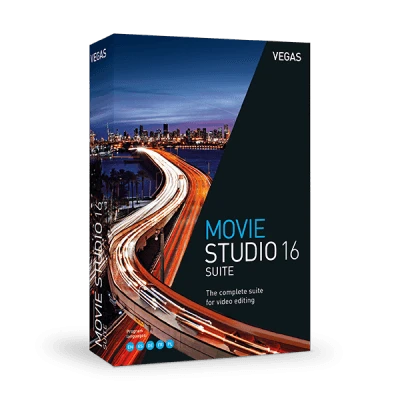 In this video, learn how to apply the video stabilization in VEGAS Movie Studio 16 to rescue shaky footage. Learn how to assemble ("stitch") your 360° videos and images from your dual fisheye camera together, edit them, add effects, and deliver your finished product. This tutorial shows how to use the exciting interactive storyboard tools to quickly assemble rough cuts and experiment with your video's sequencing. 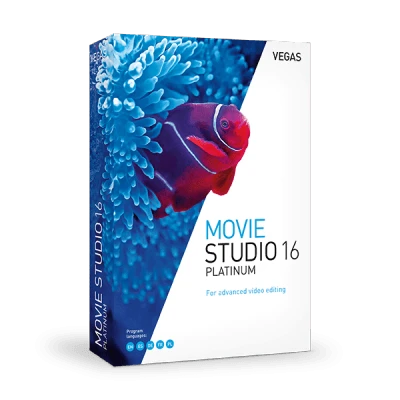 This introductory video shows you the basic functions in VEGAS Movie Studio including how to create a new project, import videos and other media, where you can create and edit your movie project. You can use the Crop plug-in to quickly create split-screen sequences in VEGAS Movie Studio Platinum. In a split-screen sequence, one video plays in one part of the screen while a different video plays in another part of the screen. Find out just how easy it is to open your material in VEGAS Movie Studio. Here you'll see the best way to import videos and other media, place them on the timeline and organize your project. Discover the intuitive drag-and-drop workflow and custom editing for individual video and audio tracks with this tutorial. You'll also get an introduction to the toolbar with use scenarios for tools and video effects. Learn how to use titles and text in your productions with this video. Use text templates as well as animated title templates and optimize your texts in the title generator. Get an overview of the huge range of options for creating and customizing clip transitions. Using effects, you can improve the appearance of your videos and movies or add precisely what's been missing. This tutorial shows you different options and how to use them. This tutorial explains positioning and the comprehensive tracking functions of the picture-in-picture effect tool, which lets you insert one video into another. VEGAS Movie Studio has a multicamera mode for editing multiple cameras filming the same scene. 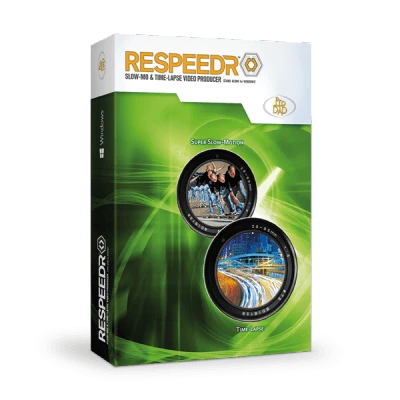 In this tutorial you'll find out more about the preview monitor function, how to ensure track synchronization and get the perfect result. Find out how to upload your finished project to social media platforms such as Vimeo, YouTube and Facebook. Learn all about exporting to disc and hard drive and how to select the right format for media.